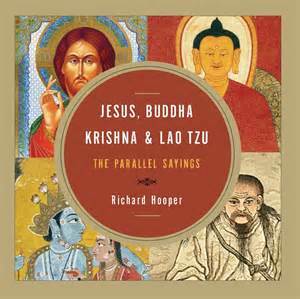 I found this marvelous book, Jesus, Buddha, Krishna & Lao Tzu, by Richard Hooper. In it he compares similar passages in different combinations of four religious prophets. He, and others before him, analyze who was first to create the tenets and who stole what idea from whom. Whereas, Spiritist realize there are many similarities because they were sent to earth to preach the same doctrine. Each slightly affected by different cultures and times. All three could have been lifted from the Doctrine of Spiritism. Our actions in one life shall affect our next life. How much plainer could all three be? Why then do people still insist on committing the wrong deeds? Because, many do not believe that we truly are spirit beings who come to earth to learn and pay our debts. I can certainly understand that. I was in that category for many years. But once you internalize the enormity of reincarnation, your entire outlook alters and sacrificing the progress of your soul for momentary material gain becomes out of the question. If you would like to explore more about reincarnation and why we must go through multiple trials to become a pure spirit, please read my book, The Case for Reincarnation – Your Path to Perfection.